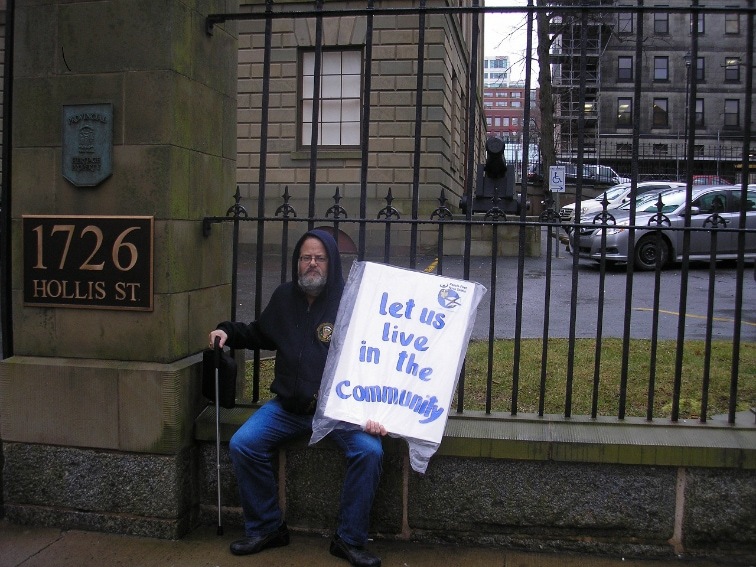 KJIPUKTUK (Halifax) – The Disability Rights Coalition is collecting signatures to an open letter to Premier Stephen McNeil, asking his government to stop warehousing people with disabilities and focus on investing in community living options instead. Alternatively, the group is asking people who are institutionalized and/or waiting for a community living opportunity to file an individual human rights complaint. That could mean a lot of complaints. There are about 1500 people waiting for spaces in small option homes to become available. “Rather than engage in an absurd scenario in which hundreds, perhaps thousands, of people with disabilities or their loved ones need to file human rights complaints tying up the legal system, now more than ever, we look to our democratically elected government to take action to fix what it admits is a broken and inequitable system for persons with disabilities,” the letter states. It’s the coalition’s first move since a lengthy human rights tribunal saw three individual complainants win their case, but left hundreds of people waiting for suitable living accommodations, either while institutionalized or simply on a wait list for a small option home, without resolution. “The very positive thing is that (Human Rights Board chair) Walter Thompson found discrimination and ruled that the three individuals should have received support to live in the community many years ago,” says Marty Wexler, chair of the coalition. “But it is disappointing that Thompson didn’t consider these individuals as examples of what hundreds of other people are experiencing. Like the three, they are not gaining meaningful access to the community either, no matter whether at home with parents, or living in institutions,” Wexler says. The coalition is made up of groups such a People First Nova Scotia, the Nova Scotia Association for Community Living (NSACL), as well as individuals. The DRC has a Facebook page, and a brand new website with lots of information on the human rights case, instructions on how to file a human rights complaint, and other issues. You can read the open letter to the Premier here. You can sign the letter by sending your name, the name of your organisation (if any), and your address to: disabilityrightsns@gmail.com. Previous Post Headline news: protesters or water protectors?